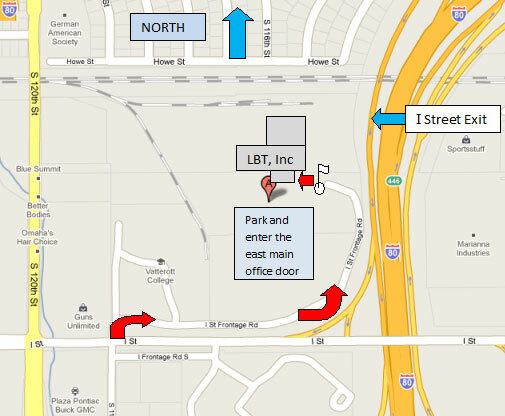 LBT Inc. :: Careers at LBT, Inc.
Exit I-80 at “I” street if coming from the north and proceed to the stop light by Plaza Pontiac and Vatterott College. Turn North onto the “I” street frontage road and follow it all the way to the end. Go through the open gate and park on the south side of the offices. Enter through the main office doors. Just turn East onto “I” street if coming from 120th street and take the same route from the light.